Home Off Beat	Christmas gift – A dartboard wine rack! Not sure what gift you wanna buy this Christmas? Lemme help! 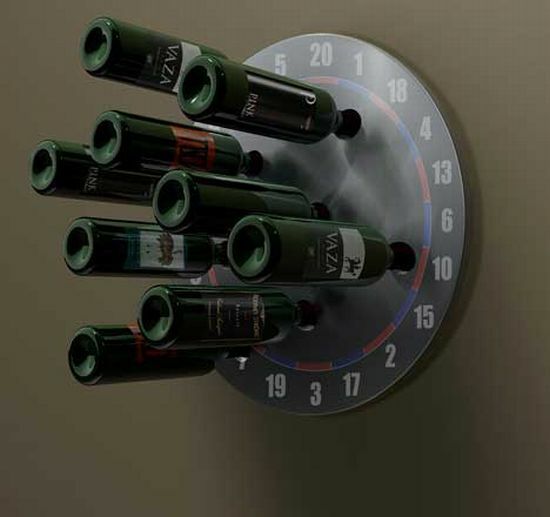 Check out this Gottacha Wine Rack from Chetan Sorab. Keeping the popularity of the sport (dart) in mind, Chetan planned to make a dart-board wine rack. Well, this isnât a dart board though! Look closer; there are wine bottles and not darts. All-in-all â a perfect gift for someone who is fond of playing darts, specially when down on liquor. Swing skirt – Swing everywhere,anywhere! ← Skeleton Barrettes – For women who value time!